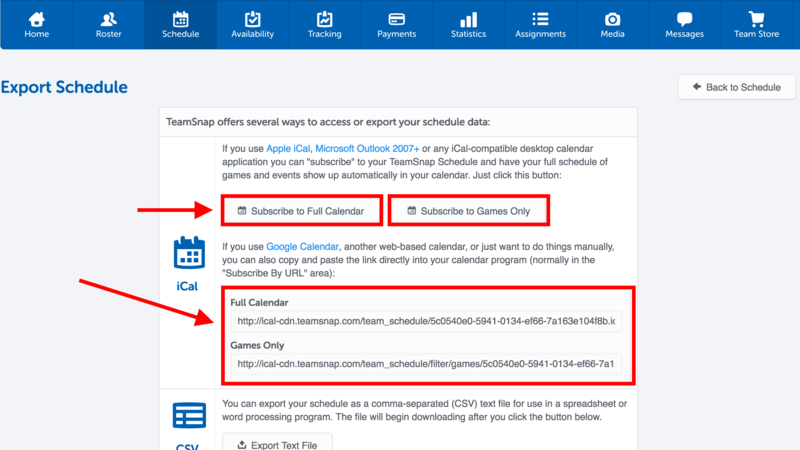 Make life easier by subscribing to your team’s schedule on your computer or mobile device’s calendar! 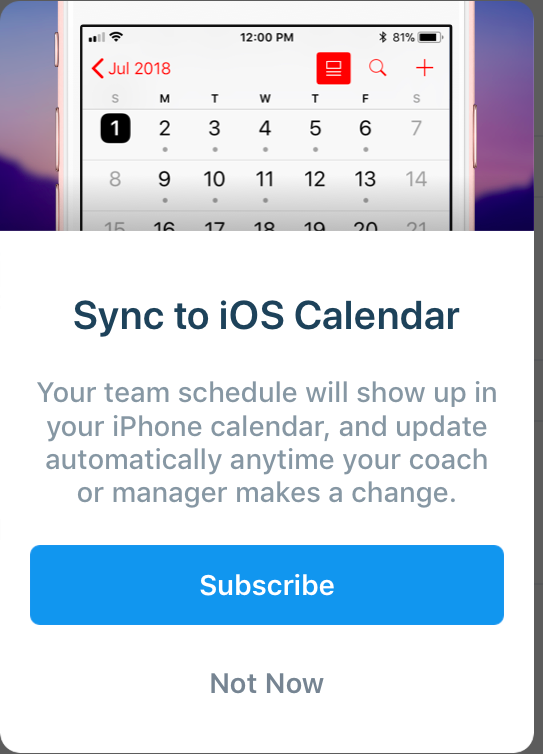 This will allow you to have your team's full schedule of games and events show up automatically in your calendar, and update automatically anytime your coach or team manager makes a change. It’s like finally getting that personal assistant you’ve always dreamed of! Note: Subscribed Calendars will show past Games and Events up to 6 months back. Note: It may take a few minutes for your iCal file to fully load in Google. As long as you do not see an error, it is likely still working. Please note that Google can take up to 24 hours to fully populate subscribed calendars. If the calendar name shows in your list of calendars on the left of the screen, the subscription was successfully added. If it has been over 24 hours and your calendar has not populated, please contact support. You'll want to be sure that you use the same Google Account that you have set up on your phone. If you simply want to export the schedule as a CSV file for use in a spreadsheet or word processing program, you can click the “Export text file” button. Note: Your personal calendar will update approximately one hour from when the changes are made within TeamSnap. In the Outlook, under the Tools menu select Account Settings, then the Internet Calendars tab. If you see the phrases My Calendars and Other Calendars, click on each until you see the list of calendars below them. If you don’t see a list of calendars, in the View menu, select Navigation Pane and make sure Normal is checked. If it appears under Other Calendars, drag it to the My Calendars section. You can view the calendar separately from your regular calendar or overlaid on it. To switch between these modes, find the tabs that appear above the calendars. Click the little arrows in those tabs to combine and separate the calendars.